It’s been a long time coming, but now we can officially confirm that CBS will be adding a superhero drama to its roster for the 2015-2016 TV season. Supergirl is headed to series with Glee’s Melissa Benoist in the lead role. We’ve been hearing about Supergirl for quite some time now. CBS gave the project a series commitment way back in the fall, and then the team spent a good chunk of the rest of the year working to find the right cast to fill out the series. A pilot was put together before CBS made the final call on Supergirl and it should look pretty incredible on the small screen, considering Variety is reporting that the pilot cost $14 million to produce. That’s way more than the average Game of Thrones episode costs to make. If you haven’t been keeping tabs on Supergirl, we know quite a bit about the series so far. Benoist is signed on to play 24-year-old Kara Zor-El, who escapes to Earth as a youngster and is adopted by the Danvers. Eventually, she will realize that her powers make her special on our planet and she decides to use them to do good. Kara’s sister, Alexandra, will also be a huge part of the series, and she’ll be played by Chyler Leigh. In addition, Mehcad Brooks (Jimmy Olsen), Laura Benanti (Alura Zor-El), and Calista Flockhart (Cat Grant) have also signed on. We don’t know much about the actual plot of the pilot episode, but we have heard that flashbacks will play a role. 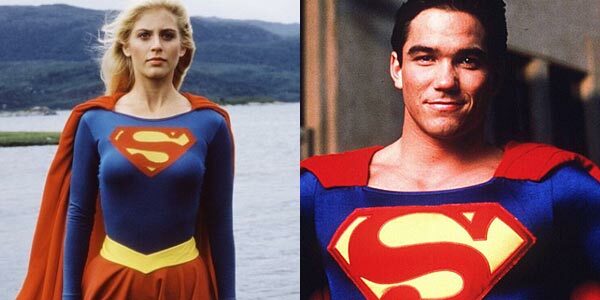 In recent weeks, former Supergirl Helen Slater and former Superman Dean Cain were also both signed on in secret roles. Lately, it has been looking as if the two familiar actors will be playing Kara’s Earth parents, Fred and Sylvia Danvers. The series will mark the third superhero project that prolific producer Greg Berlanti has gotten in motion; the other two, The Flash and Arrow, air on The CW. Berlanti, Ali Adler, and Andrew Kreisberg wrote the script for the pilot. Along with The Flash, Arrow, and now Supergirl, Fox has its own DC Comics-based series, Gotham, which has already been renewed for Season 2. And The CW is looking to get a third DC series on the air sometime next TV season. We’ll let you know if the latter ever comes to fruition. In the meantime, here’s what CBS has coming up this summer.